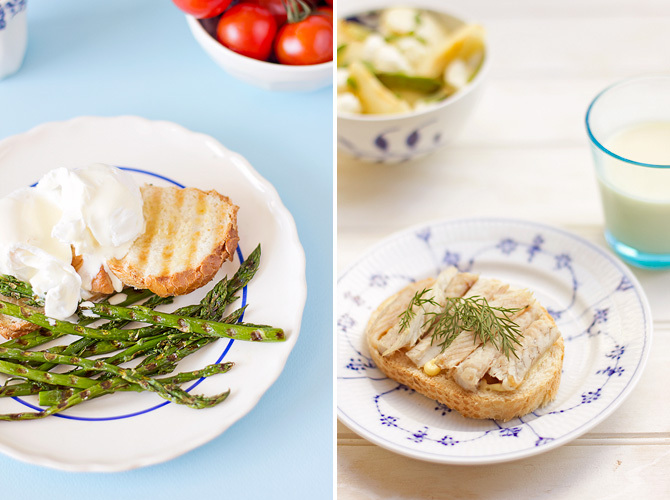 Flavours of spring and early summer - asparagus, garfish and rhubarb. For the last three weeks I've been snacking on the freshest asparagus imaginable. I am privileged enough to have five crowns growing beside our house, less than five metres from the front door. I haven't bought any asparagus in two years. 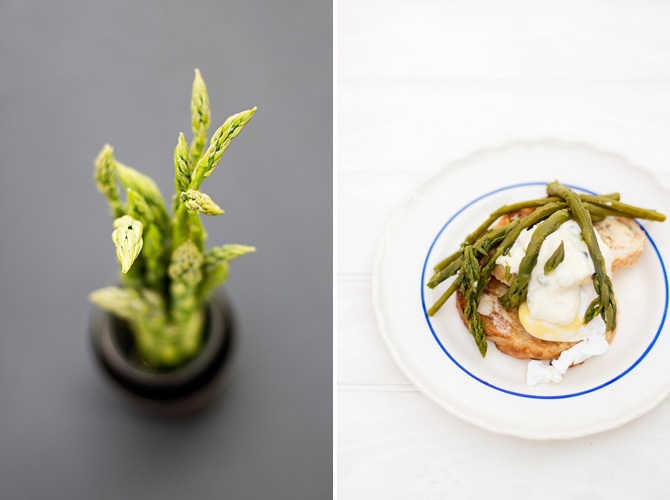 You just can't beat the flavour of asparagus that just ten minutes before landing on your plate was still basking in sunlight, bobbing its head in the wind. Like many, I too love to eat it with eggs and toast, either steamed or grilled. Being so fresh I could probably just eat it raw but I love the smoky flavour of grilled asparagus. It takes about five to seven minutes with a panini grill. Quick, simple and beautiful. Sometimes I will try something new though, like an asparagus pie or soup (didn't enjoy the soup). 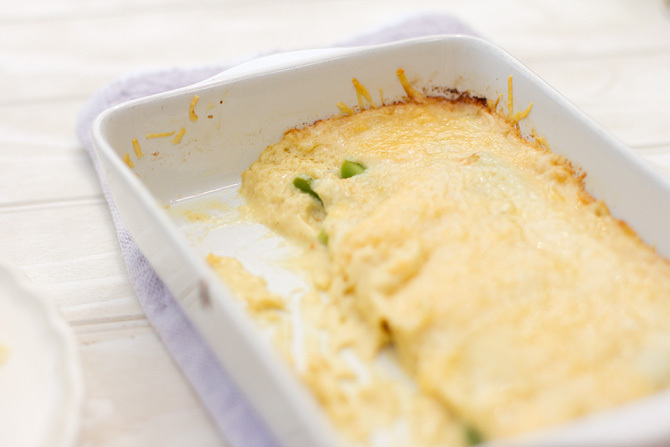 This time I found an interesting recipe by Nathan Outlaw, he calls it baked asparagus cheese, but I think it's basically a rich gratin. Anyway it sounded like a delight (if you love cheese like I do). I went ahead and baked it. The taste was just as lovely as I had anticipated, after all, one can't go wrong with this much melted cheese! It was thumbs up all round but I would like to add that I had some of the sauce left over. Not just a spoonful but quite a bit more. 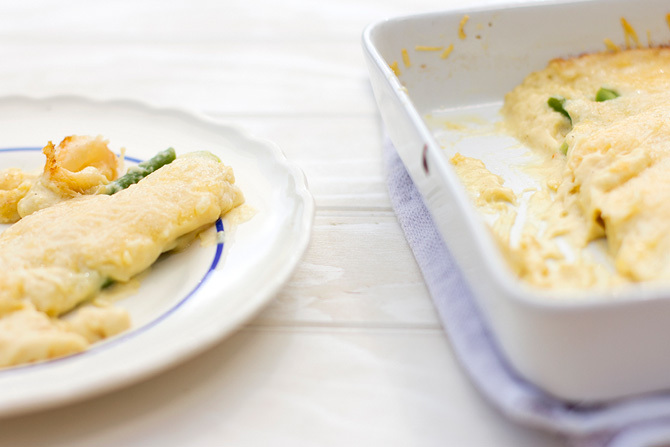 So, unless your asparagus stalks are as thick as toddlers arms, I'd suggest making only two thirds of the Béchamel. Preheat your oven to 200°C using the grill setting. Blanch the asparagus in a large pan of salted water for one minute, drain and immediately refresh in cold water. When cooled, drain, pat dry using a paper towel and spread on the base of a buttered ovenproof dish so that the base is evenly covered. In a small saucepan on a medium heat, melt the butter and add the flour. Cook, stirring for 1-2 minutes until lightly golden. Remove the pan from the heat and gradually whisk in the milk to form a smooth sauce. Return to the heat, stir and simmer for 3 minutes. Remove from the heat and beat in the egg yolks, mustard and Worcestershire sauce. Taste and season with salt and pepper and pour over the asparagus so that all stalks are evenly covered. Sprinkle grated cheese on top. Place in the oven and cook for 10 minutes until golden and bubbling. Serve immediately.